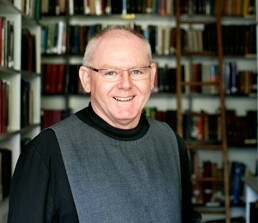 Fr Peter Allan CR has announced his retirement as Principal of the College of the Resurrection at the end of the academic year. Fr Peter has been in post since 2011, having previously taught in the College alongside monks of the Community and other academic staff. Fr Oswin Gartside CR, Superior of the Community and Chair of the College’s Trustees, said: ‘We are enormously grateful to our brother Peter for all that he has given to the College over the years. Fr Oswin is working with the Chair of the College Council, Bishop David Walker, on an extensive consultation and recruitment process, with interviews expected to take place by early spring.